I needed a little bit of a rest from drawing as I was getting a little bit frustrated with my current attempts at drawing my next paper miniatures. 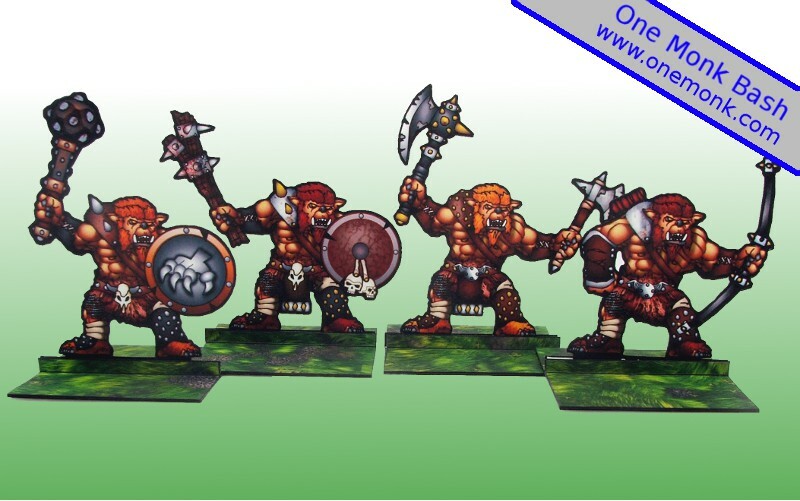 I really like Onemonks bugbears but unfortunately their is only one miniature. Bugbears are one of my favorite fantasy monsters so I decided to do a little bit of modification to the existing miniature to come up with four new ones. And a longbow wielding bugbear, I’m unsure if bugbears use bows but it looks good. Once again a big thanks to Onemonk for allowing us to mod his figures and change them around. I’ll definitely be putting these into Onemonk’s hoards once they are back up and running.